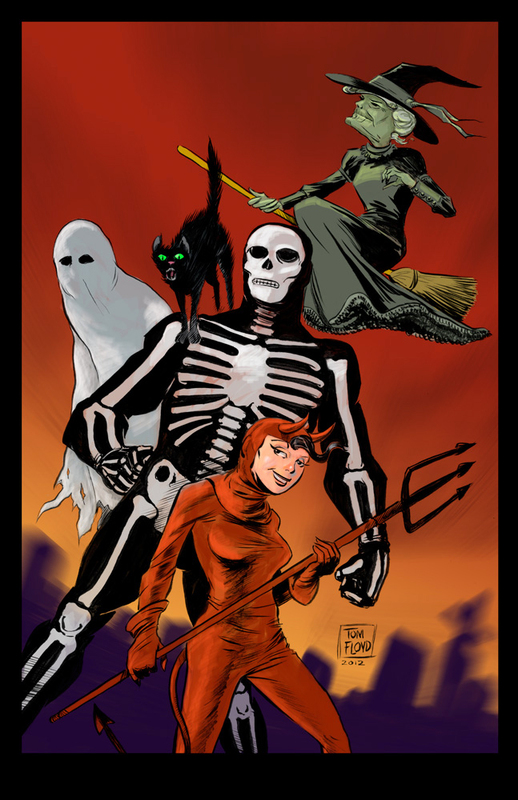 Here is the pin up for Martin Powell's Halloween Legion characters. If you like all ages spooky stuff, go find this book. And that is just the first book in a wonderful series coming from Martin. 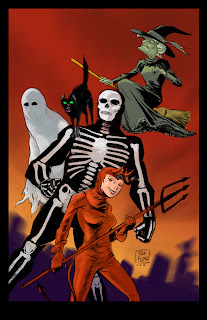 Soon there will be a graphic novel, and another prose novel. This is a pin up that might appear on one of those in the future. Sorry Legionnaires, not much else is new that I can show, or even have to show. I tend to hate that as much as you Loyal Legionnaires do. But, it just couldn't be helped this week, with work and health issues. Sorry. 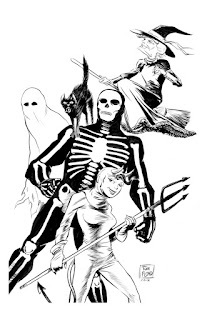 I am working on a couple of commissions and some more layouts for Number 13, as well as some Captain Spectre pages, but nothing is good enough to even show yet.....one day soon I will post them all here..... so stay tuned Legionnaires. A rough week...in more ways than one. Time flies by so fast now, it seems. Between all I have on the drawing table and just getting thru the day. Some days are of course tough to make it thru, and some days are pretty good days. And by pretty good I mean productive days. Mostly this past week has been just roughs and layouts and such. 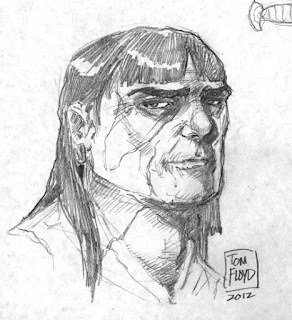 Above is a warm up of one of everybody's favorite sketch icons, Bob Howard's Conan. 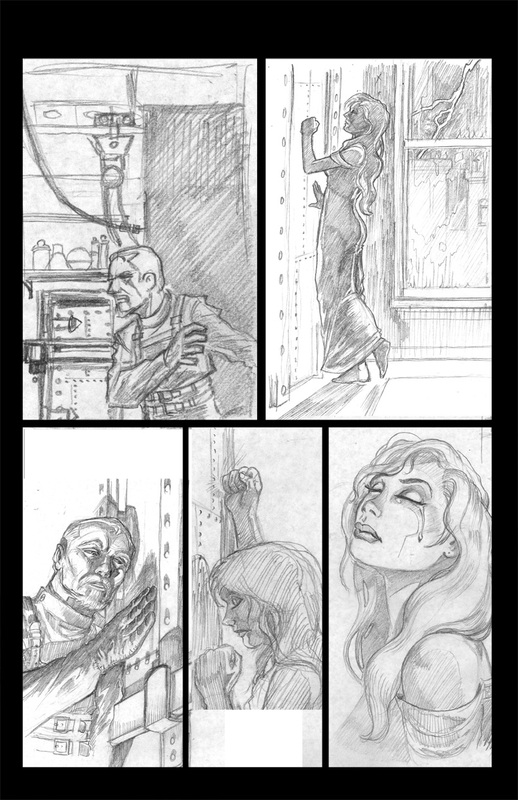 And here, again in rough stages are a couple of pages from the first part of the Number 13 project. 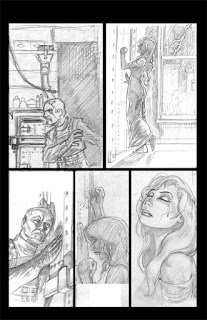 I need to get kicking on these pages, but of course there is the initial layout process. 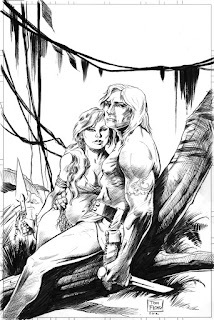 But any project I work on with Martin Powell is a joy, both in our understanding of how each other works and of course in the Edgar Rice Burroughs subject matter. 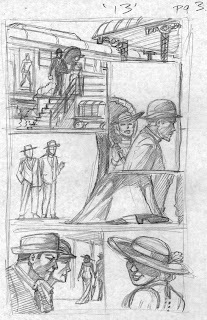 This scene takes place at a railway station in 1913, so I will have to pull out the good old web and reference some clothing and decorations from that time frame. 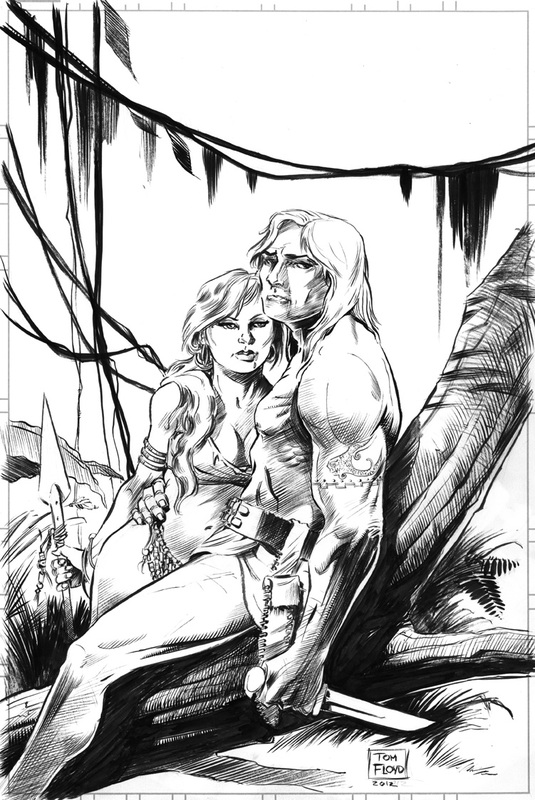 And here are the finished inks of the KiGor and Helene piece I was working on. Really no place for this piece, just felt with the renewed interest in these projects that I should spend a little time getting to know them again. 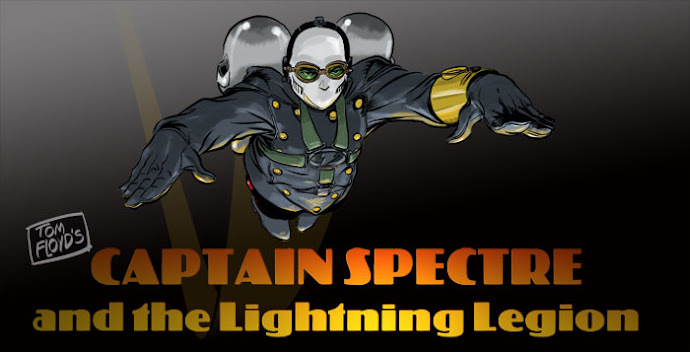 And also in a Captain Spectre update, no real art, but a major story problem has been solved. Wish I could expose more of it to you Loyal Legionnaires, but then that would ruin the first arc of three issues I have planned. But more on that later Legionnaires, so stay tuned!